Is your dog a picky eater? Or maybe you are considering including more wet food in his or her diet. There are many rumors all over the internet regarding what you should feed your dog, but going through all that information is a tedious and time-consuming job. Our team decided to find out for you what the best canned dog food out there is. 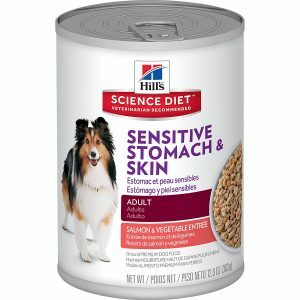 After thorough research, we concluded that you can’t go wrong with the Hill’s Science Diet Sensitive, which most customer reviews hail as an exceptional choice. Not only do buyers speak very highly of it, but veterinarians endorse it, as well. Its special formula is particularly considerate of dogs who experience food sensitivities or skin conditions. In addition to this, the blend of nutrients will boost your dog’s immune system. If you can’t find this product available for sale, you can give the Purina Beyond Grain a chance. Based on a scientifically-backed formula, this product is rich in natural fiber from vegetables, which makes it easy to digest and at the same time nutritious for your dog. In addition to this, it provides your pets with the much-needed antioxidants, vitamins C and E, which help boost their immunity. Due to the ingredients it contains, it is particularly suitable for dogs with skin and stomach sensitivities. Customers have reported irregularities in the consistency of the food, which can go from too dry to mushy. A great option if your dog suffers from diarrhea or bouts of stomach upset. It’s made from real beef, with potato and green bean accents, and no added enhancers or preservatives. As it contains no corn, soy or wheat, it’s totally safe for dogs who are known to have grain allergies. You can choose among a variety of recipes retaining your peace of mind, as their common denominator is a protein-rich, highly nutritional and healthy formula supervised by in-house nutritionists. Some dogs experienced bouts of diarrhea and stomach upset after having been introduced this food into their diet. A brilliant solution for those struggling with their pet’s grain intolerance. Specially designed for dogs who suffer from gastrointestinal issues, the low-fiber formula of this product makes it easy to digest and provides the necessary nutrients which restore the balance in his or her digestive and intestinal systems. To help maintain the health of the intestinal flora and tissue, it contains yeast as well as minerals and replaces sugar with alternative sweeteners. As the food is sticky rather than wet, some users mentioned that it may adhere to the inside of the can, to the dish and fingers. A suitable choice in case your canine friend suffers from digestive issues. Canned dog food reviews made by pet owners and veterinarians alike provided us with plenty of insights, which we synthesized in this comprehensive report. We are presenting you a list of the most popular products in their respective categories put together by our team for your peace of mind and to your dog’s delight. If your dog has been experiencing stomach upset, loose stool or food allergies, one of the decisions you may have made to alleviate his or her condition is changing their diet. The Hill’s Science Diet is specially created with sensitive dogs in mind, whether we talk about a delicate stomach or a picky eater. Formulated by a team of veterinarians and nutritionists, this wet food combines key nutrients, such as vitamins C and E and omega-6 acids for an antioxidant effect. In addition to providing a highly nutritional meal, this food also promotes the health of your dog’s fur and skin, as well as supporting his or her immune system. The science-based composition makes the food easy to digest and offers a balanced diet customized to your dog’s specific size and health condition. These two criteria are of paramount importance when choosing the right diet, so you should always feed your dog specific food. Just like us, dogs can be allergic to certain food ingredients such as cereals and grains and, therefore, need to have their diet adapted to their particular sensitivities. 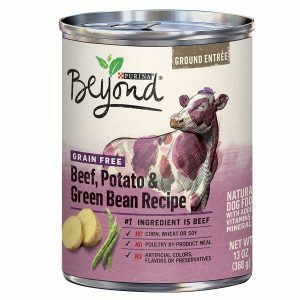 The Purina Beyond Grain comes as a very convenient solution to this problem, as it proposes a grain-free all-natural formula. The manufacturer’s additive and preservative-free policy is backed by a team of experts who take responsibility for the nutritional quality of the products. But healthy food can only contribute to your dog’s well-being provided that he or she actually eats it, so the formula is so designed as to satisfy their appetite for a delicious meal. 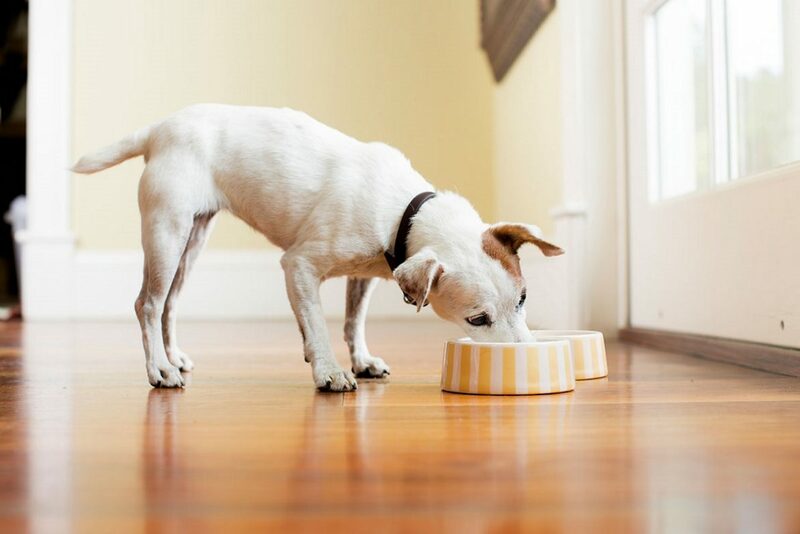 If you are transitioning to wet food from kibbles or a different type of diet, do so gradually over the course of 10 days, slowly increasing the daily portion, so that your dog can adjust his or her taste and metabolism to it. Those of you looking after an elderly pet or a dog with serious digestive issues such as chronic diarrhea or pancreatitis know the pain of finding the right meal plan for an ailing companion. 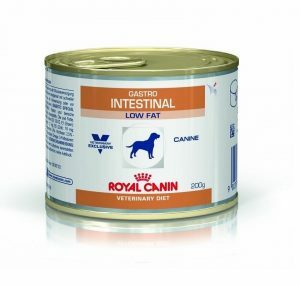 The Royal Canin Veterinary Diet comes to your rescue with a recipe which is restricted in fiber, making it at the same time easy to digest and highly nutritious. By lowering fermentation along the gastrointestinal system, this product eliminates some of the stress it takes the organism to process the food. At the same time, it provides essential proteins which can be easily absorbed, helping to maintain the body’s well-being and sustain its environmental defenses. Besides facilitating a smooth digestion, the yeast and mineral contents of this wet food contribute to the well-functioning of the intestinal flora and tissue, and the antioxidants support the long-term health of the immune system. If you have been feeding your dog mainly products based on poultry and beef, you may want to diversify by giving lamb a chance. 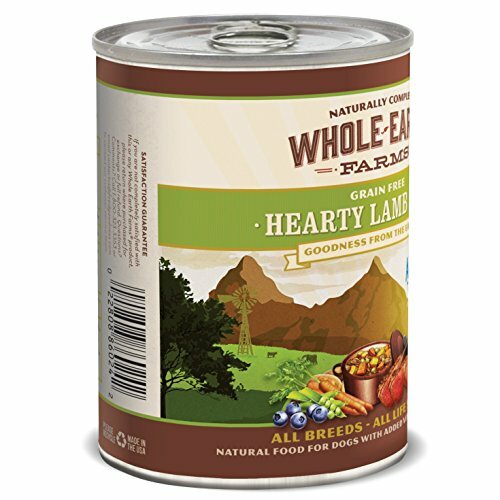 The Merrick Whole Earth proposes a delicious canned stew with chunks of meat and several vegetables for an enriched taste and added vitamins. Improved digestion is one of the many benefits that this food has in store for its furry consumers. In addition to this, it contains no grain, which makes it a wonderful solution for dogs who suffer from allergies or sensitive stomachs. However, consider alternative solutions if your dog suffers from dairy intolerance, as this product contains dried eggs and may trigger allergic reactions. 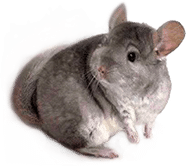 You will be pleased to find out that the recipe also provides a number of extra benefits, such as reducing hair shedding, making the dog’s coat shine, stimulating energy levels, strengthening nails, and improving the appearance of the skin. 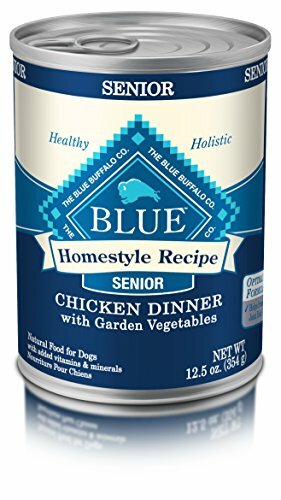 Unlike other products which add wheat to their cans as a thickening agent to hold the food together, the Blue Buffalo Homestyle Recipe contains nothing of this thickener which may cause allergic reactions in some dogs. For the same reason, you will find no soy or corn among the ingredients. Your senior dog will devour this delicious stew with deboned chicken bits which is not only mouth-watering but also rich in proteins which sustain the well-being of the entire body. Besides proteins, this wet food also contains complex carbohydrates from barley and brown rice. While carbohydrates are a great source of energy, some dogs may have an allergic reaction to grains. Keep in mind that dogs’ dietary needs may change as they grow older and lose their teeth or develop digestive issues. This soft and nutritious food makes for a healthy meal for your senior dog, is easy to chew and you can easily hide pills inside it. There are few things more enjoyable to a dog owner than watching their pet frolic in the park or play some good old fetch. In order to make sure that your adult dog has the energy and muscle tonus to stay active and healthy, you need to feed them a balanced diet rich in proteins. 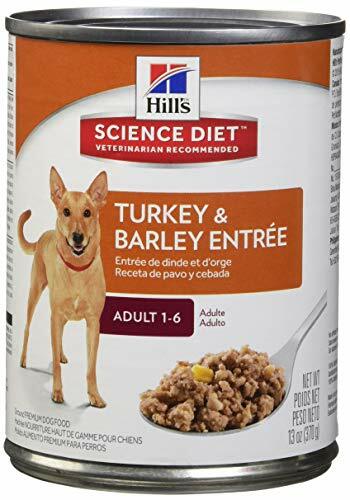 The Hill’s Science Diet Wet Dog Food is made from wholesome ingredients which provide the body with high-quality protein necessary for building muscle mass and staying active and fit. Specifically addressed to dogs ages 1 to 6, this product helps maintain a healthy body condition and an appropriate weight. Not only will your dog appreciate and look forward to the great flavor of the meal, but the ingredients will be easily processed by the body, which means that the nutrients can be absorbed at a faster rate for maximum efficiency. Perhaps you have discovered that your dog enjoys a certain food more than others, so you continue feeding him or her the same meal over and over again. But how would you feel if you had the same course on your plate every day for an extended period? Most likely it wouldn’t seem so delicious anymore after a while. This 6-pack offers a mix of beef and chicken stew, respectively, with added vegetables and brown rice. 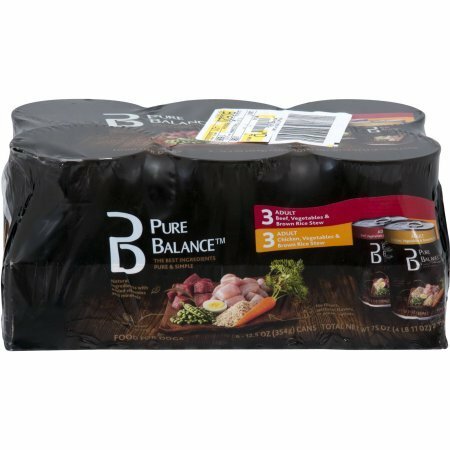 Customer reviews hail this product as a high-quality tasty and healthy meal that their pets enjoyed. While quality always comes at a price, purchasing a 6-pack is a great deal compared to buying individual cans and it will have you covered for a longer period of time. You may also consider feeding your dog this wet food as a supplement to home-cooked meals or to kibble, depending on what you normally include in their diet. If you can’t decide between serving fish or chicken to your dog, why not find a middle way and offer both in a wholesome, balanced meal. The innovative formula of this product blends very fine pieces of salmon and chicken, mixes them with vitamin-rich vegetables including peas, carrots, and potatoes, then cooks everything in chicken broth. Like many similar items, this wet food contains dried egg product which can trigger unwanted reactions in dogs with dairy allergies so if your pet suffers from such a condition, you may want to feed him or her alternative products. However, as it includes no grain in its recipe, this is a wonderful choice for dogs who suffer from grain intolerance. 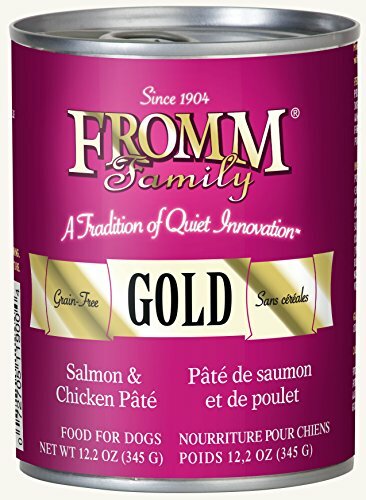 Customers have nothing but words of praise for the Fromm Gold Salmon, which they say their dogs found absolutely delicious. You may be surprised to hear that there were even some cats who enjoyed it! Small breed dogs require different dietary plans than medium or large dogs, therefore their diet needs to be adjusted so as to provide the necessary nutrients in just the right amount. 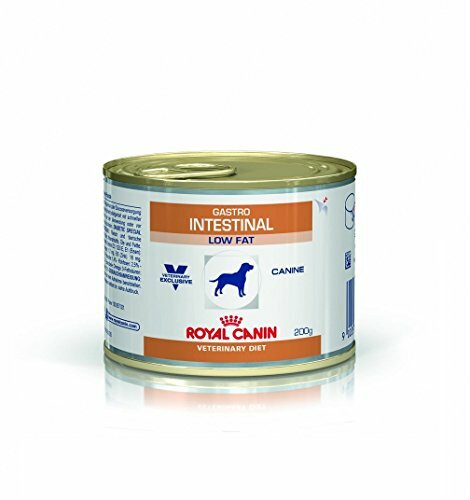 Another highly endorsed product from Royal Canin, this product takes into consideration your dog’s size and age, offering a wholesome balanced meal. 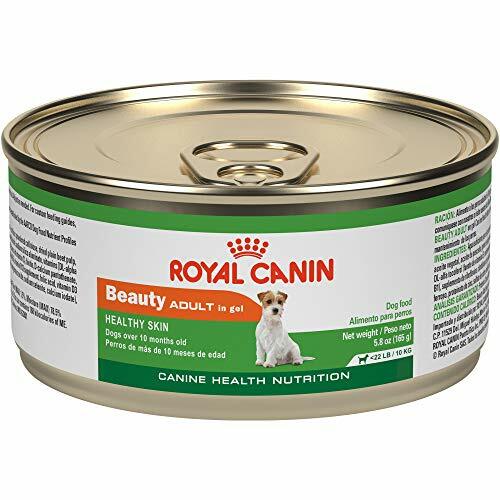 In addition to its nutritional value, the Royal Canin Adult Beauty promotes the health of your dog’s coat, restoring its shine and keeping the skin hydrated. An interesting fact about smaller breeds is that their metabolism is faster than in their larger fellows, so to burn more energy their intake of nutrients and proteins also needs to be higher. This wet food for adult small breed dogs features a complex of B vitamins which promote a healthy metabolism, as well as an amino acid which stimulates protein synthesis. These are extremely important for small dogs, as they help metabolize the calories in the food. 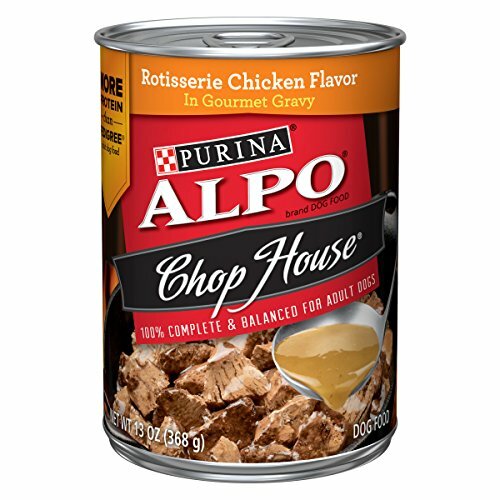 Judging by the reviews made by pet owners who purchased this item, it appears that the Purina ALPO Chop House is a very popular choice which manages to get not only the dogs’ but also the cats’ upvotes. If you want great value for your money this is a great deal, as it offers delicious products for an affordable price. 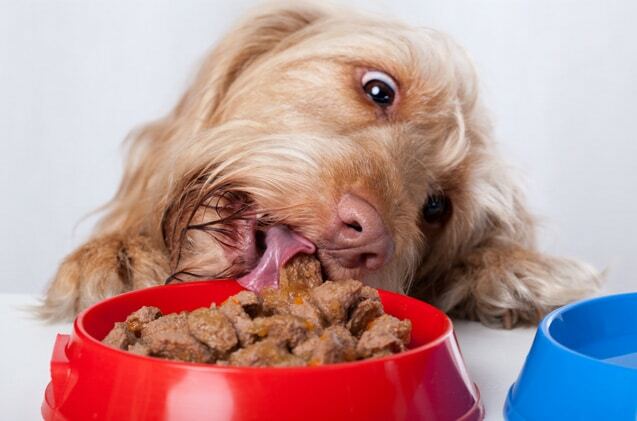 Protein is a vital element in a dog’s diet and not receiving enough of it will lead to a whole host of health issues. Since proteins serve as aides in the production of energy in the body, a deficiency may lead to lethargy, tiredness, shedding of hair, as well as a weakening of the immune system. This product has your dog’s needs catered to, as it contains trustworthy sources of protein in addition to 25 essential minerals and vitamins. Couple these with a savory taste that gets your dog drooling, and you have a wonderful choice of canned food for your furry friend. 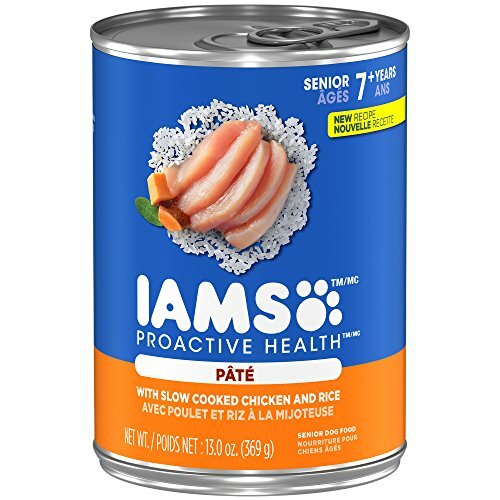 The Iams Proactive Health boasts a delicious home-cooked taste which will get your dog wagging his or her tail in anticipation of the next meal or snack. At the same time, it will save your pet a lot of misery in case he/she suffers from grain allergies causing skin rash and itchiness, as this product contains no wheat. We all know that slow cooked food gives the tastiest results, especially when you are using all-natural ingredients. Your dog deserves this premium treatment, as well. Iams proposes an irresistible meal made from chicken and rice pâté, slow cooked in veritable broth. It is, therefore, no surprise that users have praised this item so heartily. Some reported that this wet food made a whole difference for their dogs suffering from runny stools. Moreover, this makes a wonderful choice for picky eaters or senior dogs with dental issues. There is a lot of contradictory information out there regarding the type of food you should feed your pet and whether kibble is nutritionally superior to canned food or vice versa. As a pet parent, you are susceptible to concerns about your little buddy’s health and well-being, the more so since he or she can’t talk back, which puts you in a position of high responsibility. Our team took the time to go through the most relevant considerations you should keep in mind when choosing to introduce good canned dog food in your companion’s diet. A lot can be said about the benefits of choosing wet food for your dog, as opposed to dry meals. As its name suggests, the former comes in a formula which provides additional hydration, especially in the case of dogs who can’t be convinced to drink enough water otherwise. When it comes to costs and convenience of storage we have to give kibble its due, as it is significantly more economical and require no special storage conditions. Canned food, however, comes at a higher price, must be refrigerated soon after opening, and consumed shortly after. And while some may be reluctant to spend a few extra bucks on wet food, there are plenty of cheap canned dog food alternatives. You can always get great deals by purchasing a multi-pack rather than individual cans or you can diversify the dog’s diet by treating your pet to canned food in addition to kibble or cooked meals. Considering its high protein contents and its grain-free options, canned food can often be more wholesome and nutritious than its dry counterpart. The intense flavor and the soft texture also make it more appealing and easier to chew for sick or older dogs. Due to the high moisture of canned food, this is an excellent adjuvant in weight loss diets, as it can fill up your dog’s belly faster while providing no more than the necessary amount of nutritive substances. Another reason to invest in wet food is that its high meat protein contents supply dogs with the elements they need to live a healthy active life and boost their immune system for better protection against free radicals. Since the texture is such that it doesn’t require the addition of wheat or corn starch as thickening agents, dogs with intolerance to grain or gluten can safely consume it without running the risk of ugly allergic reactions. In the case of senior dogs with dental problems, chewing dry food may be near to impossible. Wet food provides a soft, easy-to-chew-and-digest dish and an intense savor which can make it through to them even if their sense of smell began waning. Likewise, sick dogs who recently suffered from bouts of vomiting or diarrhea and may have lost their appetite can be encouraged to eat by offering them a more appealing canned dish. When trying to purchase the healthiest canned dog food for your pet, always check the ingredients list for these elements, so that you can rest assured that your pet is receiving a balanced, wholesome diet that’s also safe. Fish and meat – be it poultry, lamb, beef, and so on – are the primary source of protein and a vital component of canned dog food. Always make sure that this comes first and makes the bulk of the contents. 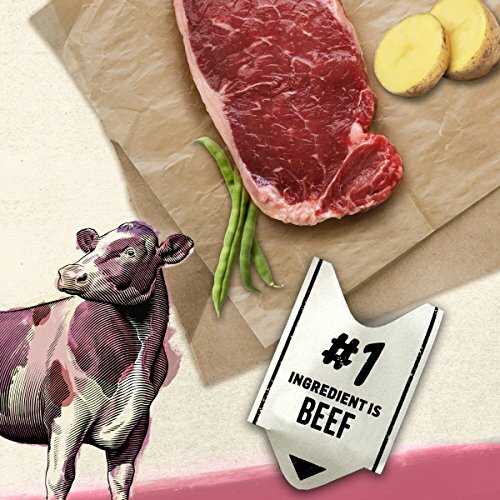 Also, to filter out bogus and low-quality products check that the type of meat is clearly specified. While starchy vegetables such as potatoes are more often than not added for their thickening properties, you can occasionally find products which contain chunks of non-starchy ones. Look out for those, as then you have the guarantee you are feeding your dog nutritious quality food. Also called fillers, grain thickeners may be replaced by non-grain substitutes in food that is intended for dogs with food allergies. Unless your dog is known to suffer from intolerance to grain or gluten, it is completely safe to feed him or her canned food which contains grain. However, you’d be doing your pet a favor by ensuring that the grains are unprocessed so that they retain their nutritional value and vitamin richness. You wouldn’t be too excited about eating food which contains artificial colorings or excessive preservatives. Why then would you feed such a thing to your dog? While preservatives can be extremely harmful to your pet’s body, they aren’t frequently used in canned food. The reason for this is that right after the wet food gets sealed inside the can, it undergoes a sterilizing process which does pretty much all of the preservation job. Thus, any bacteria likely to spoil the contents is killed before the product goes on the shelf. Beware of canned food listing meat by-products as an ingredient on the list. This term refers to parts of the slaughtered animals which remained after the meat was removed for human consumption. While these aren’t harmful to your dog’s health, they have little if any nutritional value. Although sugar can often occur on canned food labels, as does molasses, you can judge the quality of the product by checking for artificial sweeteners, some of which can be fatal to dogs. The manufacturers of cheap dog food may sometimes try to hide the fact that their product lacks in taste or nutritious value by adding unnecessary sweeteners. As mentioned before, fillers or food binders play an important role in producing the gravy that holds the meat and all other ingredients together. Because gums and wheat gluten can serve the unholy purpose of giving meat by-products the aspect of real meat pieces, it is best to go for gum-free, gluten-free variants of food. Needless to say, it should be a warning sign every time you read canned food labels listing meat or organs without mentioning the specific animal source. Also, specifying poultry without precisely displaying the actual name of the bird should be classified among untrustworthy tactics.